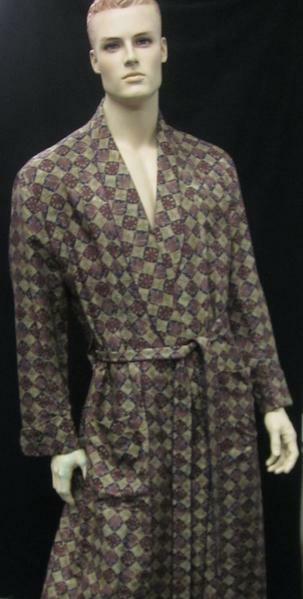 Robe, polyester printed in gold, navy blue and burgandy flower pattern with matching waist tie . Designed by William Ivey Long. Worn by Matthew Risch as 'Joey".